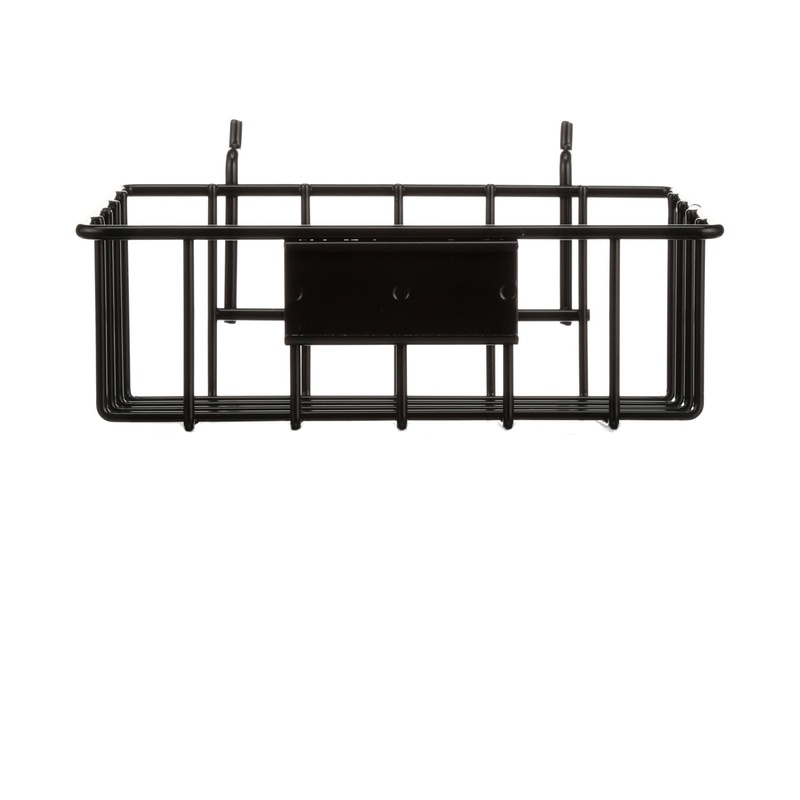 Slanted pegboard or slatwall basket to display your components. Baskets can be affixed to pegboard or slatwall fixtures. Features slot for holding a label. 100% USA Made. 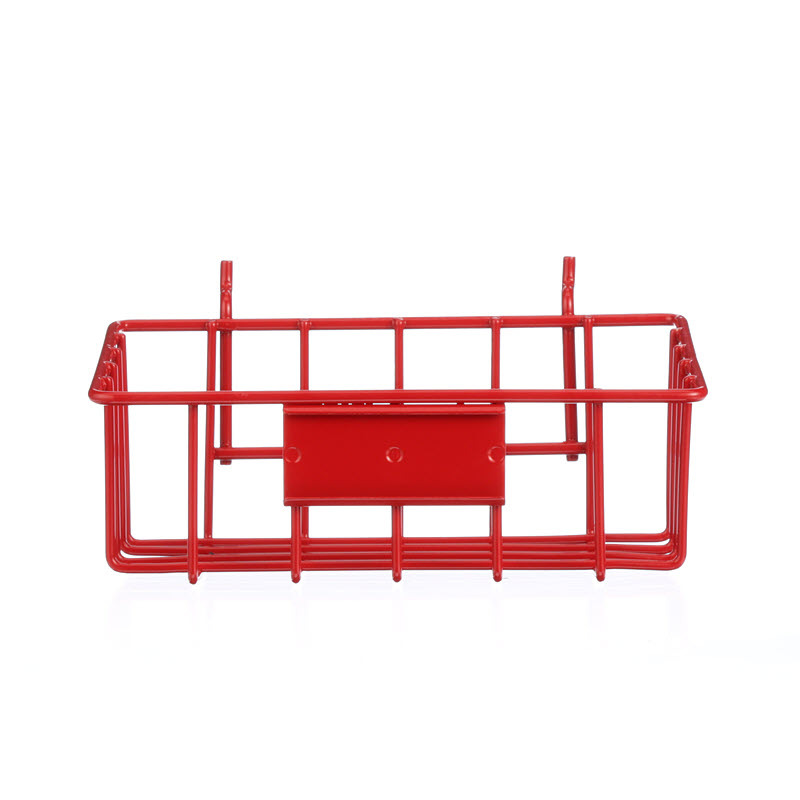 Slanted pegboard or slatwall basket to display your components. Baskets affix to pegboard or slatwall fixtures and have a slot for a label to be inserted. Red color provides high visibility. 100% USA Made. 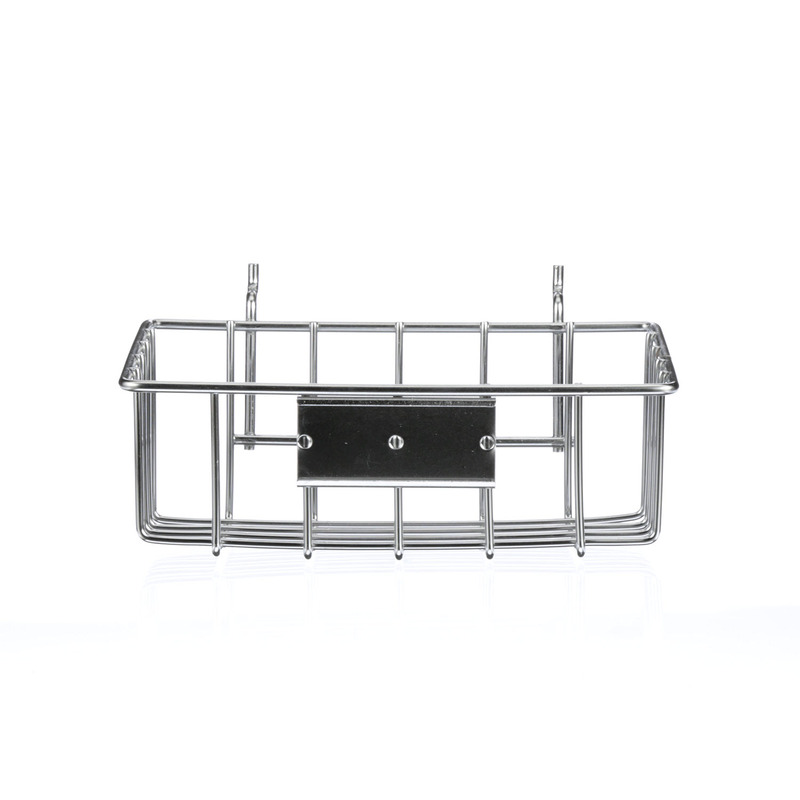 Slanted basket that can be affixed to pegboard or slatwall fixtures for display. 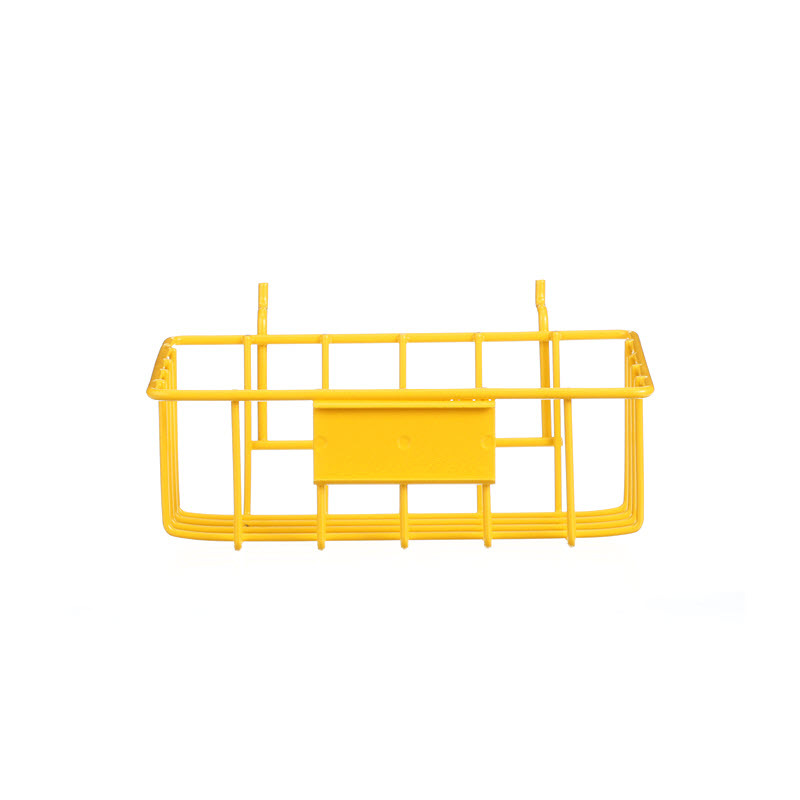 Yellow powder coat increases basket's visibility. 100% USA Made. 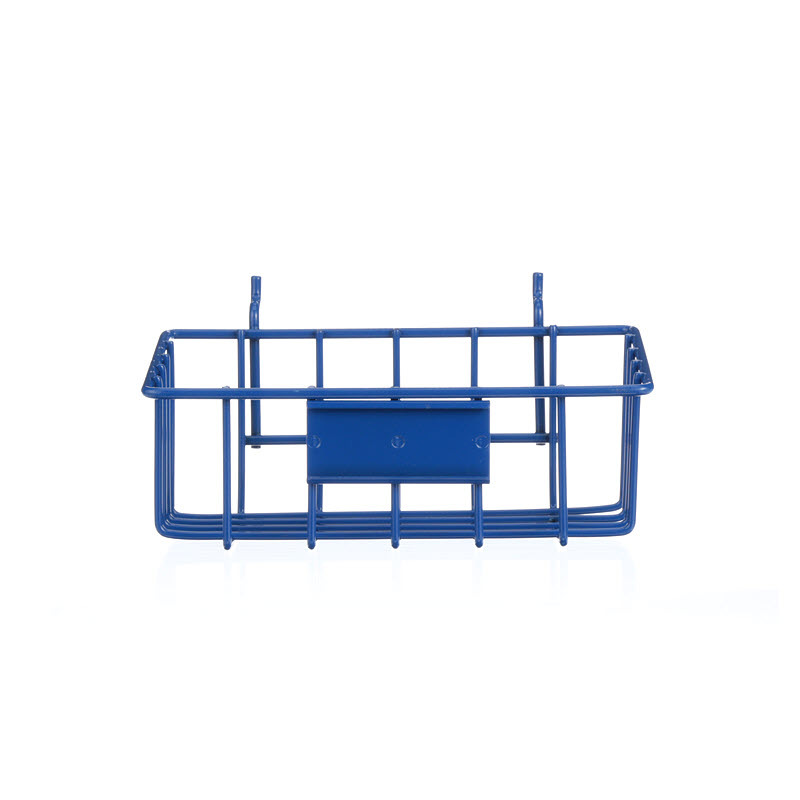 Slanted blue pegboard or slatwall display basket for your parts. Blue powder coat helps improve visibility of basket and items inside. Label card slot allows you to attach part descriptions, prices, serial numbers, etc. 100% USA Made. Slanted pegboard or slatwall basket to display your components. Baskets affix to pegboard or slatwall fixtures. 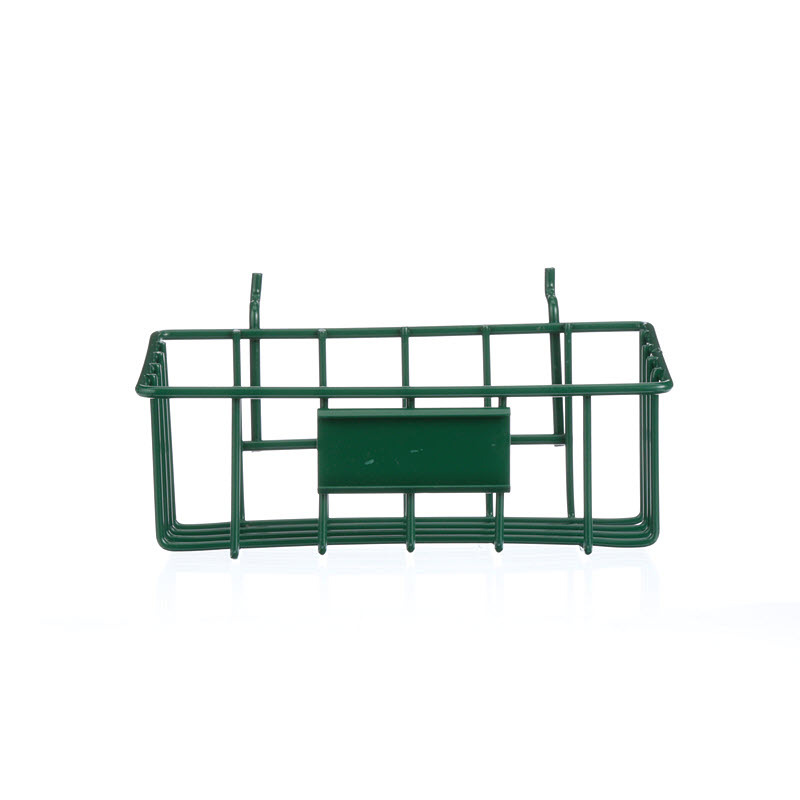 Features a smooth, lustrous green finish. 100% USA Made. Shiny slanted chrome pegboard or slatwall basket to display your components. Baskets can be affixed to pegboard or slatwall fixtures. 100% USA Made.